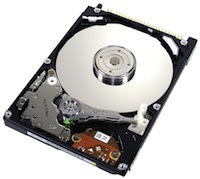 Data Clinic Ltd’s data recovery and hard drive repair services are situated around Merton and London. Data Clinic are the UK’s leading specialists in RAID, Server, NAS and hard disk drive data recovery. Our prices are highly competitive and our customer services friendly and efficient. We have regional data recovery offices throughout the UK and also offer a free secure collection service from your door. We are also experts with mobile phones and computer tablets (see below).